Composed by James Bastien. Bastien Piano. Classic Themes. Music Book. Neil A. Kjos Music Company #WP72. Published by Neil A. Kjos Music Company (KJ.WP72). This collection contains famous literature from the opera, orchestral, and piano worlds, expertly arranged for beginning students. Many early level selections have duet parts for teachers. 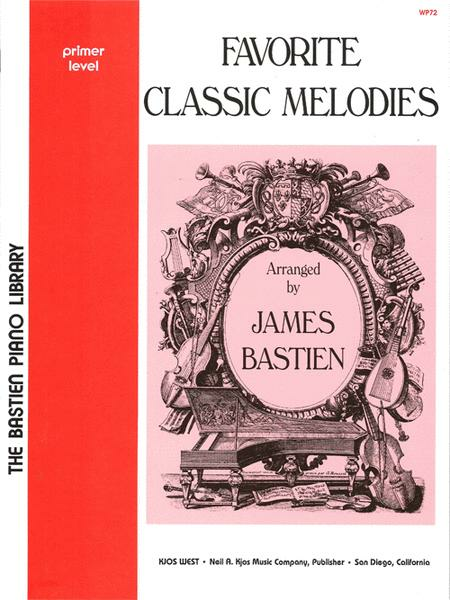 Correlated with the Bastien Piano Library, they can be used with any beginning piano method. A delight for students and parents. Enjoy and learn! Primer. Very beginning music. Five-finger positions with no chords and almost no hand position movement. beginner because it will build confidence in playing and sight reading. The pieces are very easy. 29 of 51 people found this review helpful.